The Critical Investor looks in depth at this lithium explorer's recent drill results. 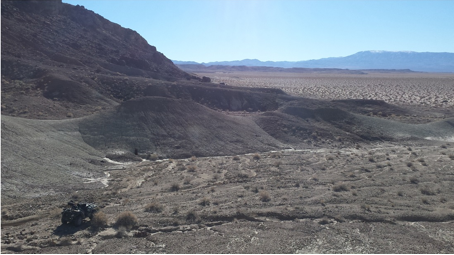 Cypress Development Corp. (CYP:TSX.V) seems to have a relatively easy job so far, as all completed drill holes returned thick mineralized intercepts, both on the Dean and Glory projects. 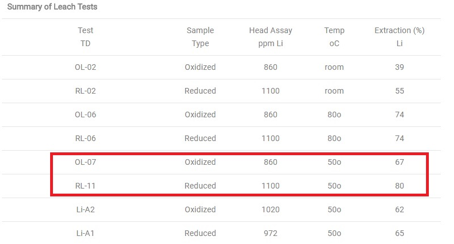 Results for the Dean project consisted of two remaining assays: 106.7m @1134ppm Li for DCH-13, which is one of the best holes so far, and 75.7m @733ppm Li for DCH-14. The first hole also generated dark green to black ash-rich mudstone, starting at around 50m depth, just like a few other, earlier holes did in the 2017 program on Dean. On DCH-13, the lithium grade increased at depth. The grade increase happened to coincide with a so-called redox boundary, where material above the boundary is oxidized and light grey in color, and material below the boundary is reduced and dark grey and green to black in color. The terms oxidized and reduced in this case represent the two parts of a redox reaction, a chemical type of reaction. This redox boundary has been observed at similar depths in all other drill holes as mentioned, and management has no reason to believe that recovery would be any different between the two types of claystone. Metallurgical testing will provide definite answers here. These results are completely in line with the earlier reported assays on Dean, and therefore increase the confidence in continuity for management. More core drilling is underway as reported by the most recent news release (February 20, 2018) and the first of three additional holes, DCH-15 (see hole "New #1" in the map below the tables), was completed to a depth of 127 meters, and encountered oxidized and reduced claystone types throughout. Drilling of the next two holes is expected to be completed by early March and the results will be included in the upcoming resource estimate. DCH-09 was reported separately, with an intersection of 281ft (85.7m) from a depth of 27ft (8.2m) to 308ft (93.9m), and an average grade of 1014ppm Li. It is still early days of course regarding recoveries, etc., but as the mineralization starts at surface, or very close to it, the strip ratio here is nonexistent and even better compared to some of the Dean holes, so in my view Glory can be seen as an interesting addition to the flagship Dean project. As the bordering Dean holes (DCH-01 to DCH-05) have higher grades and longer intercepts, I expect further drilling on the northern part of Glory towards Dean to return gradually higher grades and longer intercepts as well. The company anticipates drilling these three holes deeper than previous holes, as the previous ones ended in mineralization. Depths to be achieved here will be approximately 400 feet per hole, and the increased depth of holes will probably add to the resource estimate expected. Management has already been granted drill permits for an additional seven drill holes on Glory, and expects to start drilling those in one week from now. They are also aiming at applying for a 7-8 hole drill permit for Dean, after reclamation of existing rig locations is completed. This is all expected to take a few weeks from now. The company, according to the presented plan map, differentiates between a 1000ppm Li zone and a higher grade 1200ppm Li zone, although this seems rather optimistic as the drill results so far don't indicate these average grades. 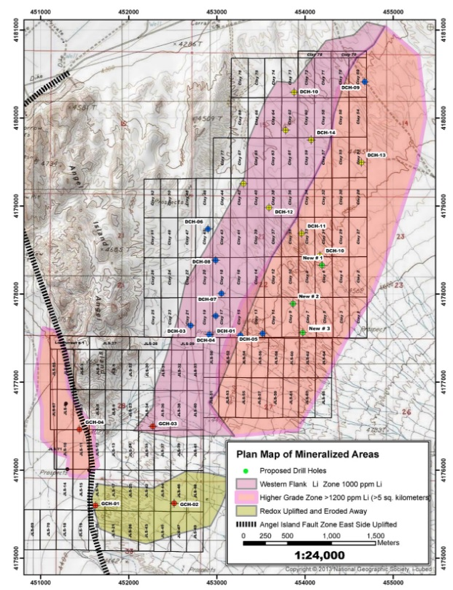 Management explained that they indicated this as grades and intersections of the lithium bearing zone increase towards the eastern part of the property. As can be seen in the tables with drill results, length and grade vary across the Dean project. Notwithstanding this, a mineralized envelope can be guesstimated, and a hypothetical resource can be extrapolated. The Western Flank (of mostly Dean, the two properties are bordering through an east-west line running right under holes DCH-01 to DCH-05) is estimated at 900 ppm Li average, 5,000m long, 750m wide and 60m thick, resulting in a 225M m3 envelope, using a gravity of 2.5t/m3 resulting in an envelope of 562.5Mt, containing a hypothetical 2.7Mt LCE. The Higher Grade Zone is estimated at 1050 ppm Li average, 3,500m long, 1,000m wide and 70m thick, resulting in an envelope of 612.5Mt, containing a hypothetical 3.1Mt LCE. This zone needs the most exploration. For the Glory project so far I estimate an average grade of 700ppm Li, 1,000m long, 1,500m wide and 30m thick, resulting in an envelope of 112.5Mt, containing a hypothetical 0.45Mt LCE. Looking at the areal maps it makes sense that mineralization continues into the Western Flank/Higher Grade Zone, but this will take more drilling to prove up of course. Adding up all these hypothetical tonnages of LCE, I would arrive at an estimated target of 6.25Mt LCE, which is nothing short of world class. As my estimates are premature, my preferred target margins would be about 5-7.5Mt. As a reminder, examples are brine projects like Cauchari/Olaroz (Orocobre 6.4Mt LCE, SQM/Lithium Americas 11.7Mt LCE), clay projects like Sonora (Bacanora 7.2Mt LCE) or hard rock projects like Whabouchi (Nemaska 4.06 Mt LCE), each of them being among the largest in their category. A large resource is a very good thing to have, but it is the first half of solving the puzzle at Dean/Glory. The next and equally important part is the search for a cost effective recovery method, and management is focusing on this as well, as CEO Willoughby, as an engineer himself, is very much involved on this subject. 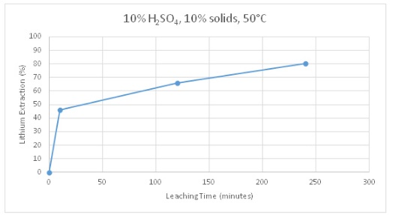 Initial bench-scale scoping tests revealed moderate extractions of lithium in sulfuric acid solution, increasing to 74% with increasing temperatures. The extractions were achieved with relatively low additions of sulfuric acid (5% solution) for lithium-bearing claystone deposits, measured at a rate of 140 kg to 170 kg of acid per tonne of material. This still might sound like a lot but 1 tonne of acid costs just about $50. As an aside, as mentioned in one of my earlier articles, claystone is very soft rock, for engineers among readers it has a working index of 1-2 (porphyry rock for example 16-20), so energy consumption for mining and milling is equally low. Management estimates this at 23kWh/tonne material. Energy costs in Nevada are modest, too, at $0.10-0.12/kWh. 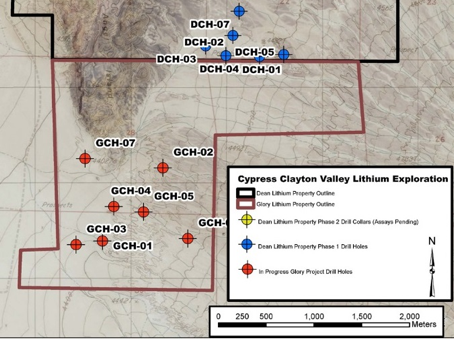 According to management, the met work results are encouraging and further test work is underway to improve the results by refining the leach conditions, checking for any mineralogical variability across the properties, and determining methods of recovery of the lithium from the leach solutions. This last part is particularly important as it represents the biggest task on the recovery front. As this is just a four-hour period, my guess is recoveries could get even higher when using a longer cycle, but I'm no expert so I leave this to CEO Willoughby and the independent laboratories working on this. But basic recoveries look sufficient for sure. A quick financial update: the treasury of Cypress contains about C$1.1M at the moment, which will take them well into 2018, including a resource estimate scheduled for March and a PEA in Q2. Management estimates the costs for the current drilling and met work at less than C$300k, the resource estimate is budgeted at C$50k with met work and PEA (roughly estimated by management at C$300k combined) to follow. As met work will probably be extensive, I expect a PEA to be completed in Q4, 2018 at the earliest. It looks like Cypress Development is definitely closing in on an estimated world class 5-7+Mt LCE resource, as all incoming drill results show robust continuity of mineralization. Also worth noting is the speed of the entire process, as the company managed to rush the required drill permits, and reclaim finished rig locations very quickly. Of course it is still early days, with no commercial scale recovery method proven yet. However, keep in mind that NPV potential would be huge in this case, as comparable, economic resources generate $500-1000M NPVs. As a comparison: the current market cap of Cypress is only C$10.7M. They are now further delineating the potential resource by the next round of drilling, and a resource estimate is expected soon after the results are in. I expect this to be a short-term catalyst as it confirms the large scale of this project, and after this I am very much looking forward to results of the ongoing met test work later this year. If this could ultimately result into a commercial recovery method, than Cypress definitely has unbelievable upside potential. Disclaimer: The author is not a registered investment advisor, and has a long position in this stock. Cypress Development is a sponsoring company. All facts are to be checked by the reader. For more information go to Cypress Development Corp. and read the company's profile and official documents on Sedar, also for important risk disclosures. This article is provided for information purposes only, and is not intended to be investment advice of any kind, and all readers are encouraged to do their own due diligence, and talk to their own licensed investment advisors prior to making any investment decisions. Want to read more Energy Report interviews and articles? Sign up for our free e-newsletter, and you'll learn when new articles have been published. To see a list of recent articles and interviews with industry analysts and commentators, visit our Streetwise Interviews page.